Welcome to Day 966 of our Wisdom-Trek, and thank you for joining me. Thank you for joining us for our five days per week wisdom and legacy building podcast. We are broadcasting from our studio at The Big House in Marietta, Ohio. Today is Day 966 of our trek, and it is Wisdom Wednesday. Creating a Biblical worldview is important to have a proper perspective on today’s current events. 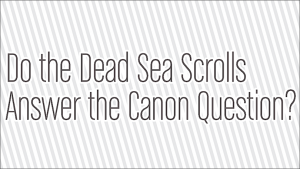 The Dead Sea Scrolls, discovered between 1947 and 1956, transformed biblical studies. 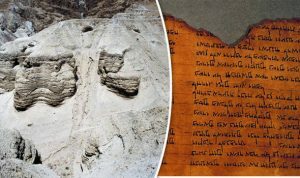 Found in a series of caves near an archaeological site on the northwestern shore of the Dead Sea known as Qumran, they contributed to research on ancient scribal practices and the history of the Hebrew language. But beyond this research, the scrolls also directly affected an issue that has long been debated—the Old Testament canon. Did this find solidify what should or should not be included in our Bibles? The word “canon” refers to the collection of books considered sacred and authoritative by a religious community—in this case, Judaism and Christianity. Historical evidence reveals that within the Jewish community, there was still uncertainty about some books such as Esther and the Song of Solomon, or portions of books, specifically Ezekiel 40-48 after AD 100. The question of whether Jewish leaders of earlier centuries had similar doubts—or different ones—was shrouded in mystery before the discoveries at Qumran. Fragments of all the Old Testament books in the current Protestant evangelical canon have been found among the scrolls—all except the book of Esther. However, its omission by the Jewish community at Qumran does not indicate much about its canonical position today. The omission of the book tells us nothing about how the Qumran community actually felt about Esther. The Dead Sea Scrolls discovered in modern times are only a fraction of the material originally stored at Qumran. The ravages of time have left us an incomplete picture, nullifying such a definitive conclusion. 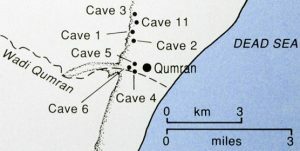 In addition, the Jews at Qumran were one sect of Judaism among several. Even if there was evidence that they had rejected Esther, that position would have represented only a segment of opinion. Even today, major segments of modern Christendom do not agree on the canon. That certain books meet approval or disapproval provides no guidance as to which opinion is correct. Beyond this, Qumran scribes often indicated a book’s sacred status by citing the book as authoritative for some point of belief or practice in their community documents. They also indicated a book’s sacred status through produced commentaries. However, not every biblical book of today’s Old Testament canon meets this criterion. For example, Judges, Jeremiah, and Job are never cited in community documents; they have not been the focus of a commentary. The incomplete nature of the discovery makes this no surprise. Conversely, the scribes at Qumran considered some books canonical that were not included later in the Old Testament canon by either the Jewish or Christian communities. Examples include the books later known as 1 Enoch and Jubilees. 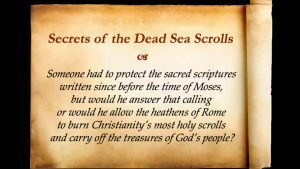 Although the Dead Sea Scrolls provide fascinating insights into how one group of Jews thought about their canon, ultimately they offer no definitive conclusion to the broader modern discussion. QUICK BIT: Originally, no fragments of Nehemiah were found among the Qumran scrolls. Since Ezra and Nehemiah were originally combined in the ancient Jewish canon—and fragments of Ezra were found at Qumran—Esther was considered the only omission. But in the spring of 2012, scholars discovered the first Nehemiah fragment among the scrolls that were found in Qumran Cave 4. That will conclude our essay for this week. 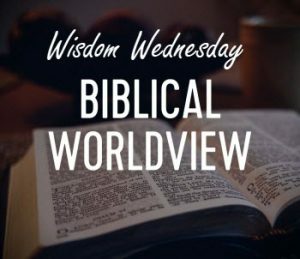 Next Wisdom Wednesday we will begin in the New Testament as we look at Dr. Heiser’s next essay titled “Burying Hell.” I believe you will find this another interesting topic to consider as we build our Biblical worldview. 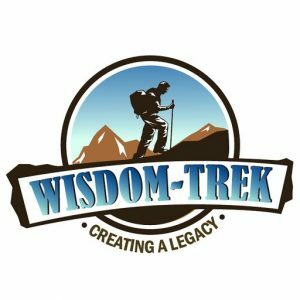 If you would like to listen to any of our past 965 treks or read the Wisdom Journal, they are available at Wisdom-Trek.com. I encourage you to subscribe to Apple Podcast or Google Play so that each day’s trek will be downloaded automatically.